Thank you to Manly Bands for providing me with product in exchange for my review. All thoughts are my own. I remember my wedding like it was yesterday. It took months of planning to achieve the simplistic, classy wedding of my dreams, along with a lot of help from loved ones who pitched in to make it oh, so magical. My husband chose our wedding bands, and I will never forget the moment we exchanged rings and made promises to one another in front of our family and friends. Eleven years later, a lot has changed, but our love remains ever strong. I still have my original wedding band, and I love it so! When my fingers became too swollen to wear my rings during my pregnancies, I wore my rings around my neck on a delicate chain. My husband was fond of his wedding band, too. I say was, because he lost his original wedding ring twice. The first time he lost it was just months after we were first married. Luckily, it was found and returned. The second time, our son accidentally kicked my husband's hand when jumping into a lake, and it was lost to the lake forever. It's been a few years since the ring was lost for good, and Sacha has felt 'naked' without it ever since. Though we looked at several replacement ring styles, he could never quite decide that he liked any one style well enough to want to wear it every day. What does one look for in a men's ring, anyway? 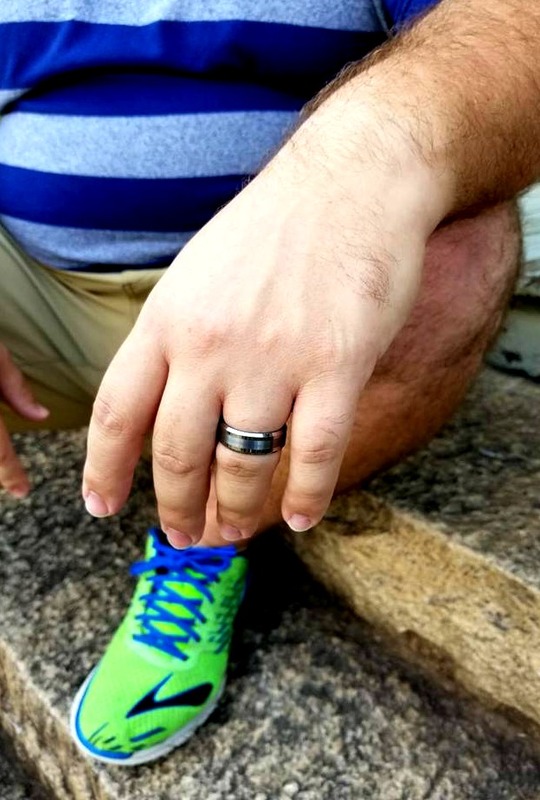 For my husband, I knew his ring would have to be sleek, stylish, manly-looking, without being clunky, and would have to be classy on top of everything else. When we discovered Manly Bands, it was almost like an answer to prayer, because Sacha had been searching for a ring for so long. Manly Bands is breaking the mold when it comes to unique wedding bands. Their designs are true originals without being overpriced, and are still really cool and well-made! Michelle and John started Manly Bands after John had an incredibly hard time finding just the right wedding band. The couple hated the hassle they experienced and wanted to save others from it- thus, Manly Bands was born, and it's the #1 place to find unique wedding bands online today. Sacha has a huge wishlist of favorite designs from Manly Bands. As he looked through their website to check out all of the cool rings they offer, he was really blown away by the designs and the prices. 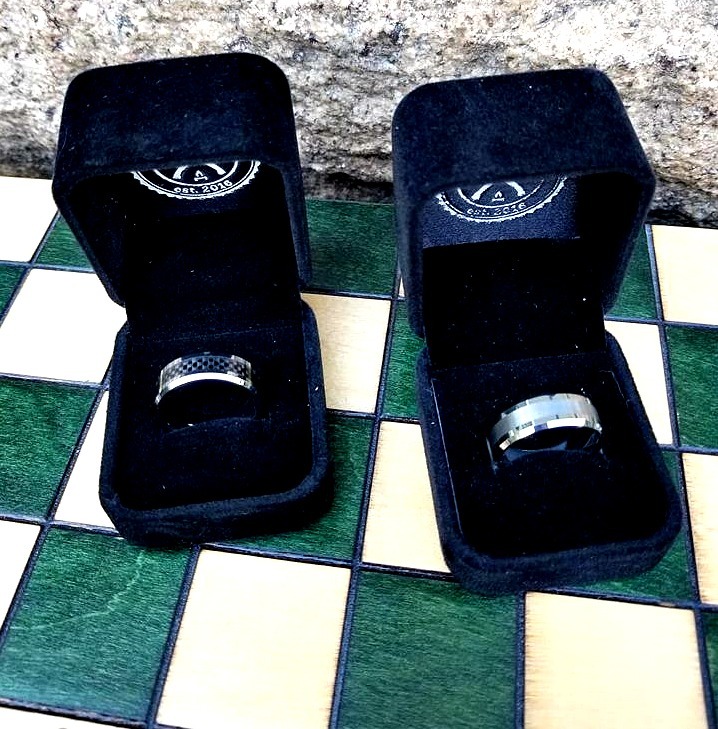 He chose a couple of amazing rings, and we couldn't be happier with them. Sacha thought it would be nice to have an everyday ring, as well as a special occasion ring. He was drawn to two specific styles for their overall look and practicality. Plus, the awesome names didn't hurt! The Darth Vader is Sacha's top pick for an everyday ring. He is a huge Star Wars fan, so this ring was an obvious choice. This handsome, yet mysterious fellow emulates the dark side above all else. Sacha loves this ring because it's totally bad*ss. It has that classy look to it, but when you look closer, the carbon fiber inlay is so cool and intricate in its design. It's a tough, sturdy ring. I picked it up, and my delicate hands feel like it's pretty weighty, but Sacha absolutely loves that about it. It fits well and stays in place all day long. He's been showing this Manly Band off every chance he's gotten, and everyone who has seen it thinks it's awesome! Where are all my Fifty Shades fans at? If I had to pick out a ring to suit Christian Grey's personality, The Mr. Kensington would be the winner. This ring exudes such class, mixed with a little bit of mystery and a whole lot of smoldering sexiness. Sacha is a pretty down to earth kind of guy, but there's also more than meets the eye when it comes to his personality. Mr. Kensington is sleek and polished- a real go-getter! We both love this ring. 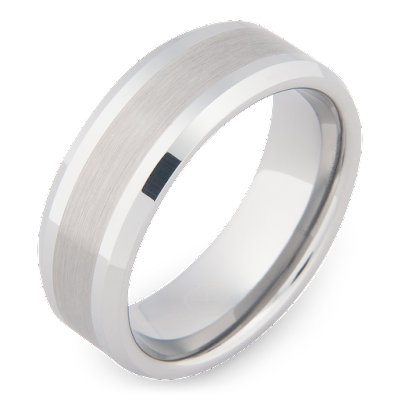 It would probably be my top choice in rings for my guy because it's just a handsome and classic style. Anyone who knows me knows this is what I prefer in terms of style. It's easy for him to wear, and he really loves the look and feel of it. 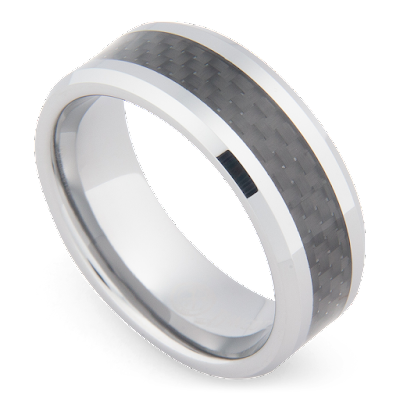 When Sacha wears a tux (which is much more often than you'd imagine), this ring looks so sharp with right along with it! There are so many other cool designs from Manly Bands. I have a feeling that my husband may start a ring collection. I'm going to have to get him a bigger jewelry box. If you're looking for unique rings that will fit within your budget, whether you're getting married, need to update rings for an anniversary or as a replacement, or you're just looking for cool rings for men, let this be the first place you look. I can guarantee that you'll find something you love! 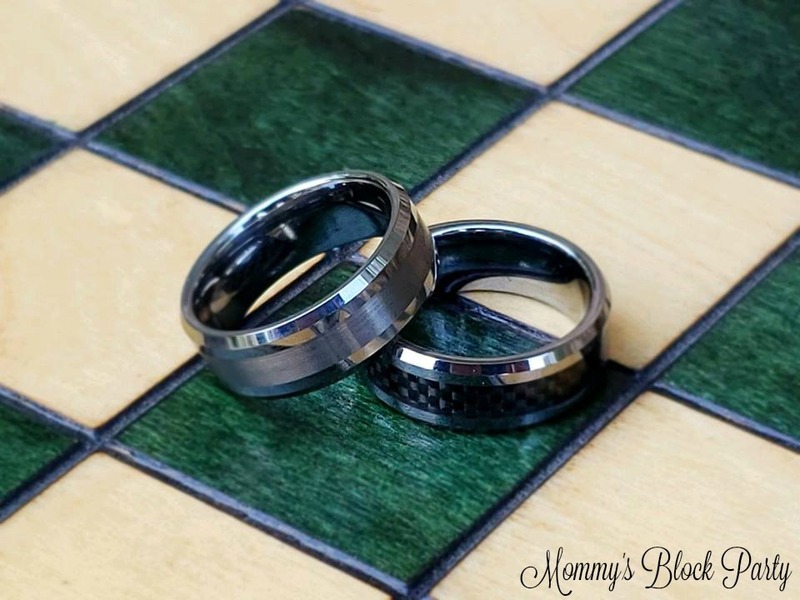 Head on over to Manly Bands to learn more about their amazing selection of manly rings! With styles like The Darth Vader, The Mr. Kensington, and others, you're bound to find an awesome right to suit your style and personality. Right now you can score 20% off all rings with the code AUTUMN20 (Excludes custom rings). Hurry this sale ends soon! Manly Bands offers FREE U.S. SHIPPING. You have 60 days to return it if you don't like it. 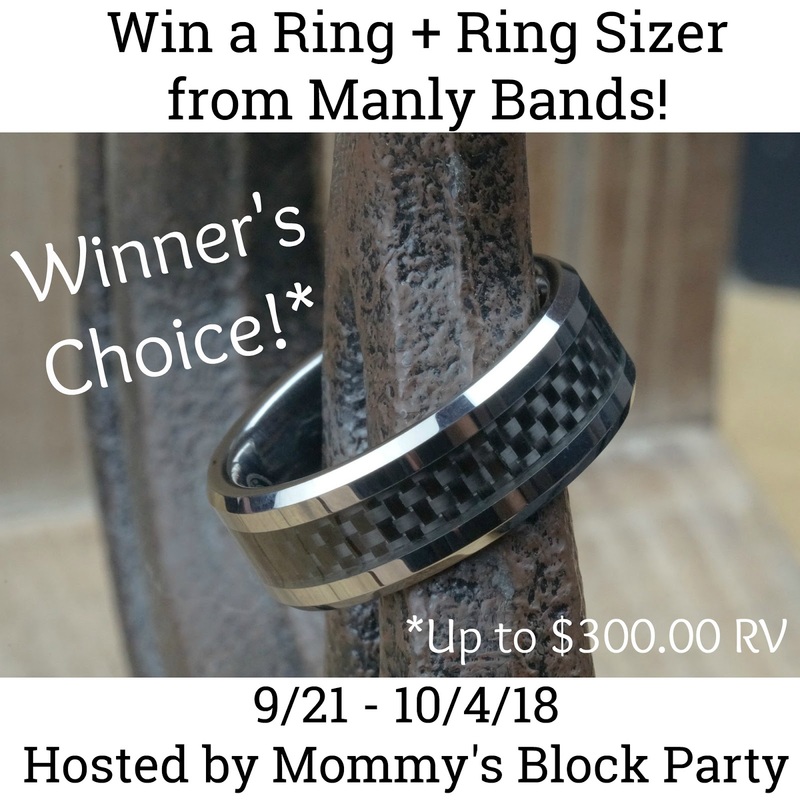 Don't forget the Manly Ring Sizer! Don't know your ring size? Get the Manly Ring Sizer! This is super helpful in determining the correct size for your new ring. 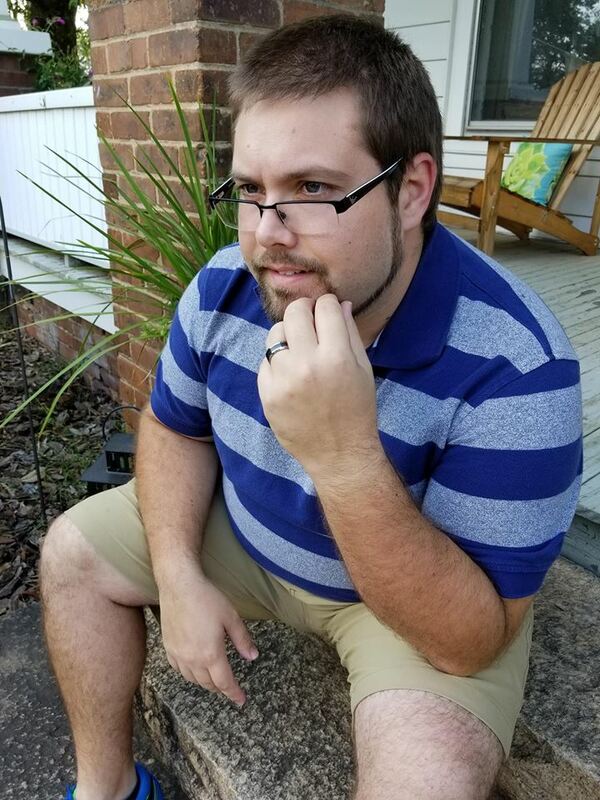 Connect with Manly Bands on Facebook, Twitter, IG, and YouTube. One super lucky MBP reader will win their choice of ring from Manly Bands (up to $300.00) + a Manly Ring Sizer! 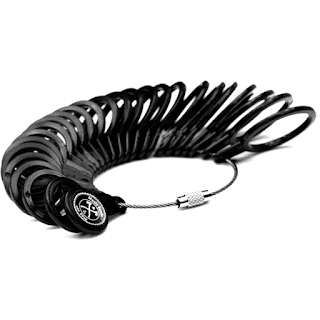 *Ring sizer will be sent first, to help winner determine correct ring size. 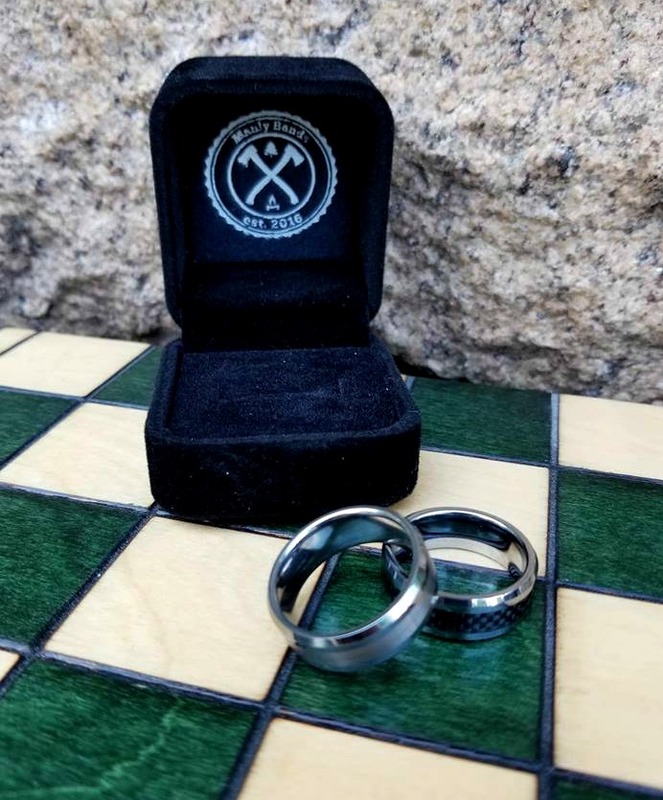 Special thanks to Manly Bands for allowing me to share these handsome rings with the MBP community, and for sponsoring this awesome giveaway! Be sure to look for them in our Fall Fashion Guide! I would pick the Ford ring which I really like. They have some super nice stuff. I'm gonna have to keep my eye out. I would choose the IBEX. I would choose the MVP. I like the rings with the wood inlay,too. The Adventurer Collection looks interesting! I like the Cowboy style. The Darth Vader is the one I would choose for my husband. There are so many beautiful designs but I really like the Gatsby ring. It ios super classy. I like the Poet band. I like the THE RECORD PRODUCER ring but truly hard to choose. I lost my wedding band at work two months ago because I had to immediately remove it do to new rules. We celebrated our 20th anniversary yesterday and do miss my band!